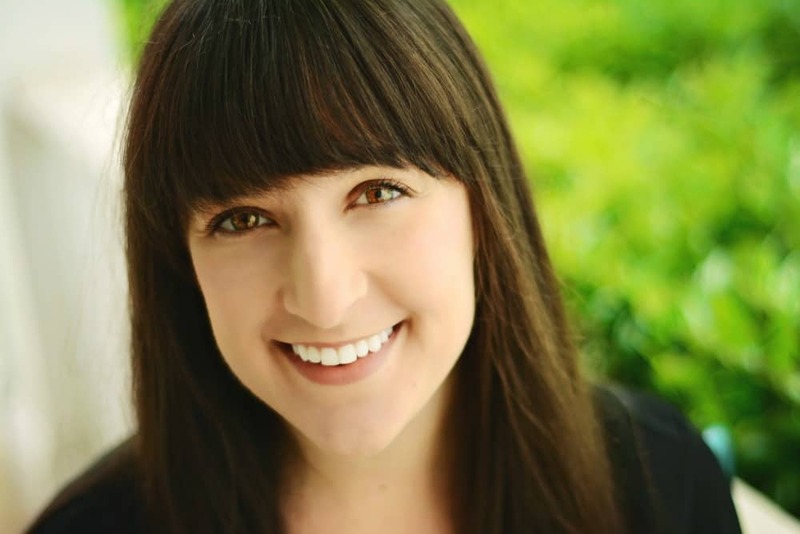 February 5, 2018 By Liz 46 Comments Note: This post may contain affiliate links. 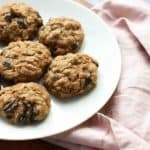 These healthy peanut butter cookies are soft and chewy and they’re made without any refined sugar or flour! To be totally honest, I don’t bake very often. I enjoy cooking but I prefer recipes that don’t have to be exact. Working on the cookbook was quite a different experience since I had to measure every single ingredient precisely. (You should have seen me getting out the food scale, leveling off my measuring cups. I was a whole new person.) But this is my kind of cookie recipe because these not only are these cookies a bit healthier than most, they’re also super easy to make! I’ve made them a bunch of times and I promise, they’re hard to mess up. No coconut sugar? Don’t worry, you can use brown sugar. Not sure where to buy oat flour? You can make your own in seconds! I find that creamy no-stir peanut butter works best in this recipe. 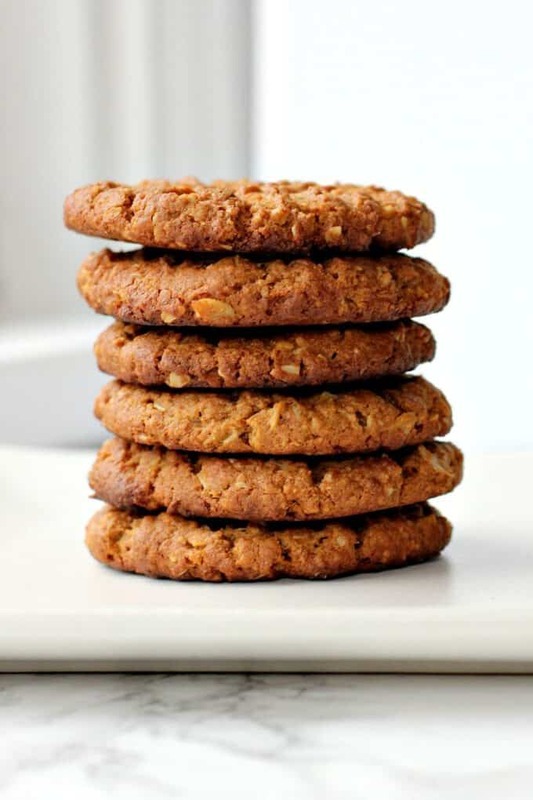 If your peanut butter is too dry, as natural peanut butter can sometimes be, the cookies may be too crumbly. If you’re using natural peanut butter, be sure to stir it well before using. If you don’t have coconut sugar, you can substitute brown sugar. To make 1 cup of oat flour, add 1 cups of oats to a blender or food processor and pulse for about 30 seconds or until crumbly. 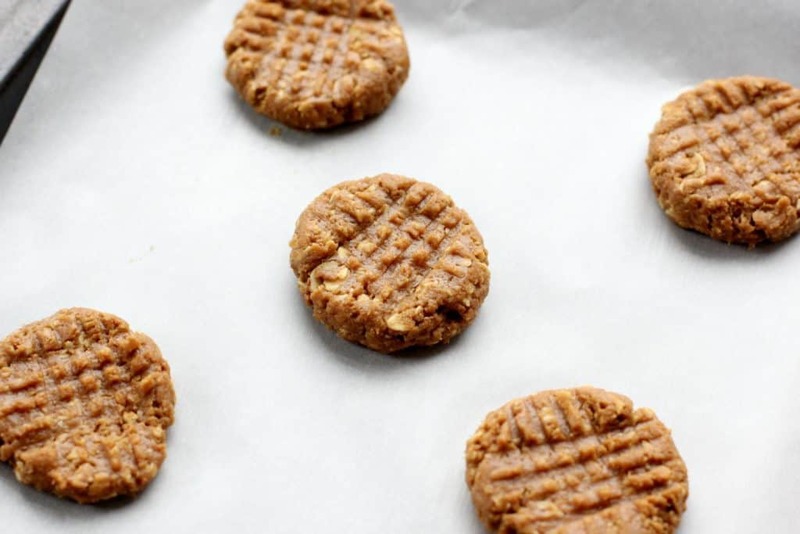 Are you ready to try this healthy peanut butter cookie recipe? Let’s do it. 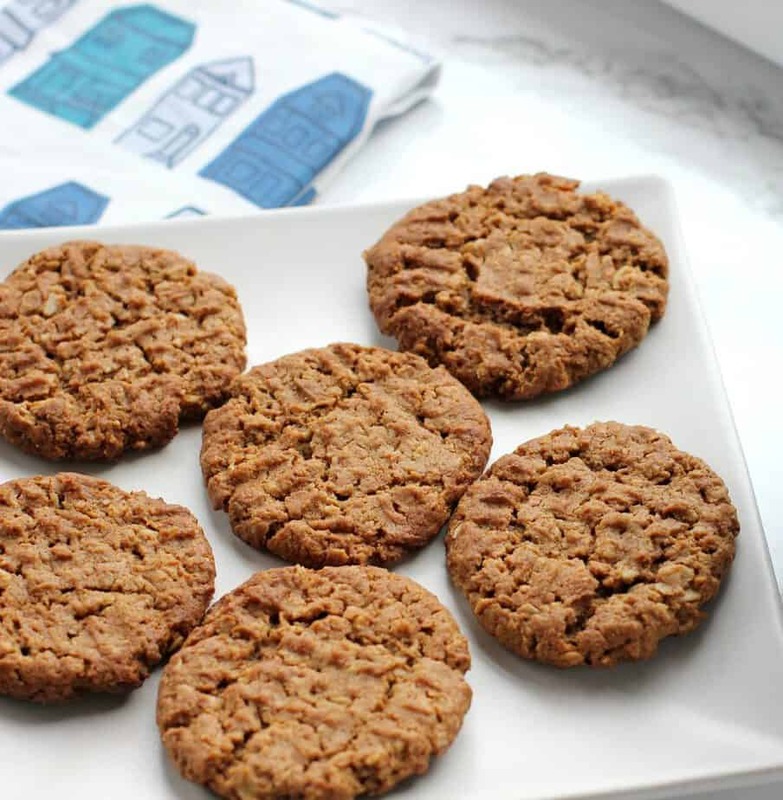 These healthy peanut butter cookies are deliciously chewy with no refined sugar or flour. They’re also gluten-free and vegan. In a large bowl, stir together the peanut butter, coconut sugar, and vanilla until combined. Stir in the oat flour, baking soda, and salt until well mixed. Scoop heaping tablespoons of dough into balls and roll. Flatten with a fork to make a criss-cross pattern on top of each cookie. Bake for 8-10 minutes until lightly browned. These cookies can easily burn on the bottom so I recommend baking in the middle of the rack for 7 minutes and then moving to a top rack for the last 2 minutes of baking. Every oven is different, but that works best for my oven! I find that creamy no-stir peanut butter works best in this recipe. If your peanut butter is too dry, as natural peanut butter can sometimes be, the cookies may be too crumbly. I’ve used Whole Foods Organic Creamy Peanut Butter and Aldi’s Organic Creamy Peanut Butter and both worked well. If you’re using natural peanut butter, be sure to stir it well before using. To make 1 cup of oat flour, add 1 cups of oats to a blender or food processor and pulse for about 30 seconds or until crumbly. It doesn’t have to be super fine. 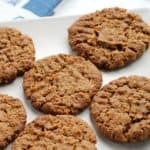 Since this healthy peanut butter cookie recipe doesn’t require any eggs, it’s easy to make a half batch or a double batch without having to worry about any fancy conversions. I made a half batch over the weekend and it’ll be plenty of cookies for us! I do want to mention that just because coconut sugar is a less refined sugar doesn’t mean you should go crazy with it. Like any sugar, you should enjoy it in moderation! I like these cookies because they’re a bit healthier but they taste like a regular cookie. Back in college, I was totally one of those “diet-desserts” girls. (Did those 100 calorie packs of fake cookies ever leave anyone satisfied?) Looking back I wish I could smack those franken-foods out of my hands and give myself some real dessert. These days, I feel much more satisfied having a regular cookie rather than trying to fool myself into eating low-calorie versions of the foods I really want. Oh, how things change! Can anyone else relate? Now if you’ll excuse me, I’m going to go enjoy one of these deliciously chewy peanut butter cookies! I adore peanut butter cookies. A little bit of dark chocolate drizzled over these would be amazing. Ohh i love that idea! Peanut butter cookies are my weakness. I’m excited that these are healthy! You and me both, Lisa! I can’t resist peanut butter! This will satisfy my cookie cravings 🙂 Awesome pictures!! I confess I ama peanut butter fan and this cookies looks incredibly amazing. I wish I had one with a big glass of cold milk now. Your pics are mouthwatering! I love how simple (and delicious!) these cookies seem! 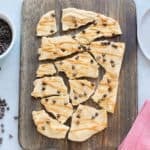 Next time I want a PB cookie, I am going to try this recipe! 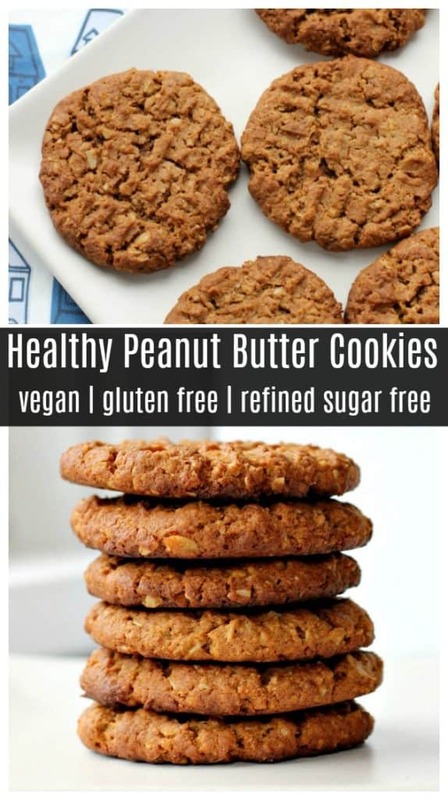 I like peanut butter cookies a lot and I’m always looking for healthier things. Thanks for sharing and I am looking forward to making them. Yum these seem simple and delicious! That’s my kind of baking…im much more of a cook than a baker! Oh yum! I’m going to have to make a batch for my PB loving tot for Valentines Day. This cookie is TOTALLY happening at home this weekend!!! Super easy and I have all the ingredients!! That almost NEVER happens! Such a simple and easy recipe. They look so good. Want to have a bite of it. Peanut butter cookies are one of my favorites!! I’m also a sucker for a simple, no fuss baking recipe, and these look just perfect! I totally want to grab one of those cookies. These are so flipping fantastic! Great recipe girly! I love peanut butter cookies! Gonna make these for our family vacation with gluten free relatives. I love how easy and healthy these are! They are perfect peanut butter cookies! 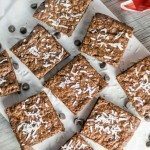 I love that these are made with oat flour! I’ve never heard of coconut sugar, but that sounds like something I absolutely need to try. All of the deliciousness without the guilt! My kind of cookie! I love them! These are just enough to satisfy my sweet tooth – perfect! Oh no! Maybe it was the kind of peanut butter? Really creamy peanut butter works best in this recipe! 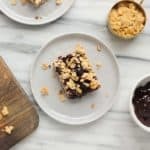 That’s exactly how I approach dessert—use quality ingredients and let yourself have a small portion. These peanut butter cookies look perfect! These are AMAZING dunked in a glass of cold milk! I just love the classic criss-cross pattern from the fork tines on top too. Can you sub almond butter? Allergy to peanuts. Hey Jennie! You can, but the texture may be slightly different. It’s best if you use a “no-stir” kind of almond butter! These sound delicious and I love the texture! They even look healthy, but in a good I-Have-to-Eat-one kinda way! Do you think this would work with almond flour or coconut flour? You had me a soft and chewy and won me over with peanut butter. I love peanut butter cookies and these look and sound so delicious and so easy to make! Will definitely try this recipe soon! I totally relate to your 100-calorie desserts. I’d much rather have a real dessert a couple times a week than go for those less than satisfying packets. And these cookies look like they would definitely satisfy! All that peanut butter goodness without too much sugar and no flour – simply love it! Love your creation of a healthy peanut butter cookie! Hmm i think it would probably change the consistency. You might be able to reduce it slightly! These taste ok, but fell apart into crumbs. I followed the recipe perfectly, not sure what happened to mine. Aw man, I’m sorry yours didn’t turn out! What type of peanut butter did you use? I followed this recipe using Adam’s natural peanut butter. I added 1.5 tbsp of oil when I saw the batter was too dry. I baked for 8 mins. Once they were out of the even, I let the cookies cool down for 10 mins before removing from the pan. I was afraid the cookie wouldn’t hold up, but once the cookies cooled, the texture definitely improved (it wasn’t chewy like I like them but tasted amazing). I will likely try it again soon with the recommended brand of pb. Mine didn’t hold together very well and were a little too sweet. I used Skippy Natural Creamy PB and Wholesome Coconut Sugar. I didn’t have Oat Flour so I put Oats in my Ninja to create the flour. Not sure what I did wrong. They taste good though. I may have to try it again. Thanks for the comment, Theresa! They do tend to be a bit crumbly since they’re gluten free, but maybe grinding the oats, even more, would help? As for the sweetness, feel free to reduce the sugar! Skippy Natural does contain added sugar so that could be part of the reason for the extra sweetness!